Before making any renovating decisions, compare the condition of your home to the condition of other houses in your neighbourhood. Don’t over spend on designer remodeling if that type of renovating is not consistent with the majority of houses. Because if you do, chances are you won’t recoup your investment. When renovating your home to sell your goal should be to make it slightly more desirable than other houses for sale in the area. The kitchen is the “heart and soul” of a home. The room families use most often. If your kitchen is old and run down remodeling it should be your top priority before listing your house for sale. Quality kitchen renovations provide a very good return on investment. And with careful planning and choice of materials you will be able to update your old kitchen at an affordable price. 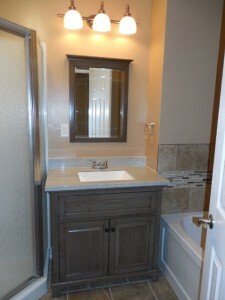 Bathroom renovations also provide a good return on investment. If your bathrooms are old you will increase the value of your home and sell it quicker if you update them. 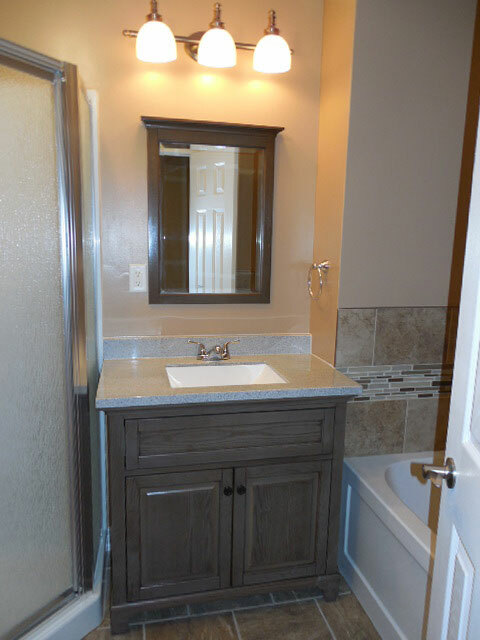 According to studies conducted, modern bathrooms are very important to home buyers. New flooring is another home renovation that will help you maximize the selling price of your house. Hardwood flooring and laminate flooring are two flooring options that prospective buyers find particularly appealing. If you already have hardwood floors in your home but they are in poor condition you may be able to refinish them. There are also other flooring options to consider. Your choice should be based on a number of factors such as style of your house, neighbourhood, etc. Painting is a relatively inexpensive remodeling technique that always spruces up a home and can help it sell faster. When renovating your home to to sell it is best to choose light, neutral colours as they appeal to most potential buyers. Additional strategies to help your home sell faster are tidying up your front yard and replacing your front door if it is looking old. The front of your home is the first thing prospective purchasers see and you only get one chance to make a first impression! You should also take care of small maintenance and repair projects such as leaky faucets. And last but not least, ensure the things in your home that are strictly functional such as water heaters and HVAC systems are in satisfactory condition. If you would like help deciding what renovations you should do before listing your home for sale, contact Alert Restoration. We provide expert home renovation services to customers in Oakville, Mississauga and the surrounding areas and we’d be pleased to share ideas with you. Remember, when renovating your home to sell you want to choose projects that increase the value of your home and help it sell fast!